One of the perks of staying at Cabin Creekwood cabin rentals Virginia is being near two major ski resorts. While staying at Cabin Creekwood you are just a short drive away from Massanutten ski resort as well as Wintergreen Resort. Both are fantastic family trips, perfect for a weekend getaway to play in powdery snow. The 2016-2017 season for Wintergreen began December 10th and the season begins for Massanutten on Friday, December 16th. We here at Cabin Creekwood are frequent visitors. 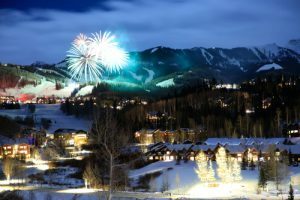 If you’re up for an extra adventure, both ski resorts are hosting huge New Years Eve parties. Wintergreen is a fantastic ski resort located about a half hour away. The resort has all the amenities including Wintergreen rentals for ski and snowboarding, lift tickets, restaurants, and more. The New Years Eve event is sure to be spectacular. Each of their restaurants serves a special meal and continues the evening with live music until midnight. There’s even a kids party! If you are out on the slopes to ring 2017 in, enjoy a phenomenal fireworks show. Reservations are required. Visit www.wintergreenresort.com/New-Years/ for more information. Cabin Creekwood is regarded as having the best location for cabin rentals Virginia, convenient to many fun activities. While you are visiting us, be sure to check out the Ski Slopes for guaranteed family fun all throughout the winter.